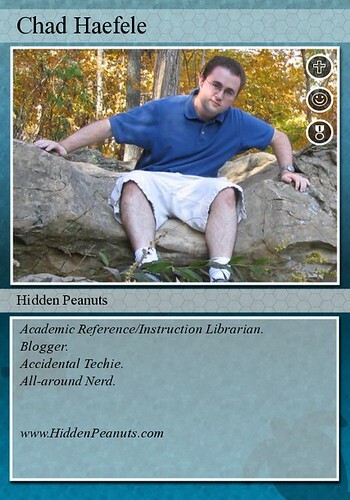 Part of the Librarian Trading Card Project. You should make this a collectible card game if it isn’t already. Then you can give yourself cool powers and weaknesses with plusses, minuses, and other arcane mathematical symbols.